Music time with Mrs Csorba! Every Wednesday afternoon, the year 1 children have their music lesson with Mrs Csorba. It was so impressive to see the children working in groups to time rhythm and beat. Take a look at how they lead one another through the sequence! To begin our final term in year 1, we visited Conisbrough castle to immerse us into our new topic of 'Castles and Monarchs'. Throughout their day, the children explored the indoor museum, the outdoor castle grounds, the indoor tower and then ended with an interesting workshop which introduced them to the people who once lived in Consibrough castle. Take a look at the slideshow below to see our exciting day! 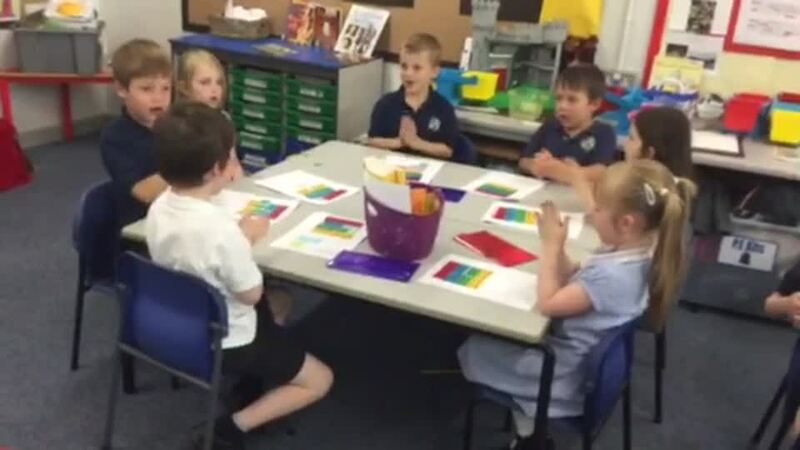 On Wednesday afternoons, the year 1 children visit Mrs Csorba for their music lessons. It was wonderful to be shown some clips of their rhythm and timing ability as they worked in groups to lead one another. To begin our final term in year 1, we visited Conisbrough castle! The children explored the indoor museum to observe a range of artifacts, then they looked at the outside area of the castle as well as inside the tower and finally finished the day with an exciting workshop to learn who lived in Conisbrough castle a long, long time ago! This was the perfect introduction to our 'Castles and Monarchs' topic and the children found out a lot of interesting knowledge that they did not know before! Check out our day in the slideshow below! During the summer term, the children in year 1 learned about farms and animals. After becoming experts on the setting, jobs and animals on a farm, the children wrote their own narrative stories titled 'Lost on a Farm'. They decided on their characters and then carefully planned and wrote the beginning, middle and end. The finished stories were incredible! Not only this, but the class also made a story bag to put their main characters in, to help them retell their story. Take a look at some of our stories, story bags and characters as we retold them to the Y4 pupils! As May is the national smile month, the year 1 classes were very lucky to get a visit from the dental nurses at Crystal Peaks. The children enjoyed learning about the sugars in drinks and fruit and why it is so important to look after your teeth. Have a look at the activities we did! On Tuesday 9th May, Year 1 Beech class took part in a ball skills competition at Westfield Secondary school. All the children worked in groups against each other and another school too. Two of our groups came 1st and 2nd! To begin Summer 1 term, we took the class to Cannon Hall farm to explore the setting of a farm and begin to explore animals. Looked at the animals in the round house, including sheep, lambs, goats, kids, Shetland ponies and reindeers. Visited the bird area including chickens, hens and turkeys. Watched a sheep race (even placed a bet-the blue sheep won!). Had a guided tour to learn more about the pigs/piglets and cattle. Fed some of the rare breed animals. Witnessed cows being milked whilst listening to information about them. The children enjoyed their day and learned lots of new information. This information will help them to create a wonderful narrative all about being lost on a farm! Have a look at our fun full day! The children all created something that retold the traditional tale very well! Some lever showed Jack climbing the beanstalk, some showed the Giant falling down the beanstalk and some children created a lever which showed mum chopping down the beanstalk. Take a look and see if you can see the story behind the lever toy! To celebrate World Book day, the children took part in a variety of exciting tasks! On Wednesday the 1st March, the Year One children were visited by Alec Williams for some engaging telling of stories and poems. The children enjoyed listening and participating in the wonderful range of texts. On Thursday the 2nd March (WBD), the children dressed up as their favourite story character for the day and ended the day with story time with Miss Mossman from Year 5.See if you can spot Alice in wonderland, Harry Potter and more! Planting our own bean plants! To begin our Spring 2 topic of 'Plants', the children shared the knowledge they already knew about plants and created questions they wanted to find out about them. We discussed how a plant needed looking after to grow and so the children planted their own bean seed and agreed to take care of it themselves. Not only this, but we began a mini investigation to see if a bean plant could grow without water, if one could grow without light and if one could grow without warmth (this will be on going!). Look below at us planting and beginning the growing process! Stay tuned to see the journey our bean plants take! To complete our Spring 1 topic of 'Toys', we carried out a textiles project to design and make our own hand puppets. First we evaluated existing hand puppets to gain ideas and inspiration. We practised the skill of sewing by learning the running stitch. We designed our own hand puppet thinking about who the puppet would be for and how it would be used. We made our hand puppet by using the running stitch and looking at our detailed designs. We evaluated the end product we had created! Take a look at our end product! Something we should definitely be proud of! Toy Workshop at the Weston Park Museum! On Friday 27th of January, the year one classes visited Weston Park Museum to explore the Toy Workshop! We were all able to see how toys had changed over time and how this was mainly due to the types of materials available. We helped create a Toy display with our understanding of materials and then made our very own clay board games! Take a look at the range of toys we explored! On the 19th of January, the year one children were visited by some of their grandparent's! They brought along with them some of the toys they used to play with like spinning tops, dolls houses and many more! The children enjoyed their afternoon thoroughly and asked some of their own questions too! Have a look at us exploring how toys have changed over time! 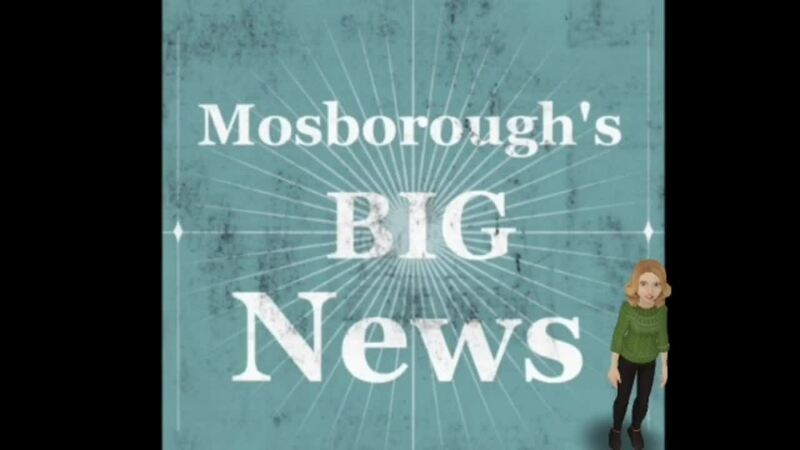 For our Autumn 2 topic, the year one children were focusing on 'Mosborough'. They created non-chronological reports within literacy, they found out changes over time within history and explored the physical and human features in geography! To gain all our knowledge and understanding, we went on a big walk around Mosborough village to find out what the buildings used to be! We discovered the Chemist used to be a builders yard, the apartments used to be a Church and the Joseph Stone centre and the white cottage used to be schools! Take a look at the buildings we passed! Below are some of the buildings we saw! For the Harvest festival, Year 1 Beech designed, made and sold their own Victoria sponge cakes. After evaluating existing cake products, the children decided they wanted to add chocolate chips into their Victoria sponge mixture and keep the jam and cream for the filling in the middle. After careful designing and practising of creaming the mixture, everyone contributed to the making of our buns and even made their own packaging to put it inside too! Take a look at our journey from making to selling to our parents! On Monday 3rd of October, the class had a visit from Miss Lilly on her Victorian seaside holiday. All the children were given opportunities to dress up, eat Hockey Pockey ice cream, watch a Punch and Judy show and see objects and games used during that era too. Take a look at some of our photographs from our time travelling day! On Monday 19th September, some of our grandparent's came in to discuss their holiday's as a child! They brought pictures along with them and lots of stories to tell. The children thoroughly enjoyed asking their questions and finding out some very interesting answers. We learned there are some differences (like their holiday photographs being black and white) and some things still the same (like eating ice cream on the beach!). See below for some of the evidence!